More than running – thank you for the music!! It’s that time of year when runners go into reflection mode, reminiscing about the year that’s coming to a close before declaring their often even more challenging, some might say crazy, goals for the new year ahead. It’ll come as no surprise that I’ve been feeling rather reflective myself of late. Of course, I’ve been reflecting on the routes, the races, the scenery and the social running but I’ve also been thinking quite a lot about how my running friends have opened up my world and experiences to much more than just the trails and substantial amount of miles. I’ve made a lot of lovely acquaintances and I’ve also built some pretty solid friendships through my running habit. One of the loveliest things to happen this year has been the music. Oh my goodness the music! I don’t have a musical bone in my body, can’t sing a note and can’t play an instrument but I can appreciate music and I enjoy a wee dance. Thanks to my lovely running buddies, 2014 has been quite a musical bonanza and I’ve loved every minute! First off there was the Burns night ceilidh in a driveway in Cambuslang, with musicians taking turns on various instruments in the garage whilst the revellers (like me) ceilidh danced on the pavoir – some of the best fun I’ve had! There were some excellent singers, who actually knew all the words to Auld Lang Syne – so I got away with miming! Next came the infamous ‘Ding ding the Highland Fling’ tune which was reproduced in a number of versions and usually in costume, leading to a trend for shouting ‘Ding Ding’ at anyone spotted wearing any kind of Highland Fling merchandise. Then there was the fabulously musical wedding, which was actually wonderful in every way (not just the music) – it was like a microcosm of how I’d like the world to be. Both brides and every other wedding guest are talented musicians – the music and dancing was out of this world. The meal was barely cleared away before my shoes were kicked off and my, reasonably groomed (let’s not kid ourselves here), hair had been pulled up to allow for more vigorous ceilidh dancing. Later in the year I actually got to participate in a musical event, albeit as a driver – don’t be fooled I didn’t suddenly develop musical talent. This meant I was there for the screening of ‘Travelling Birds’ – a participant led musical film project by Hear My Music, which was followed by a set by a group of musicians from various Commonwealth countries (thank you Commonwealth Games!). This all took place in a hospice in Fife where I met some of the young people involved in the project and their families. It was a really special day for me, and it gave me an insight into the fantastic work done by Hear My Music. And only this weekend I went to hear a friend that I met through running, play her cello and also sing. It was so beautiful, I doubt I have the words to do it justice. During one particular piece I closed my eyes and was transported to the islands of Scotland like one of the travelling birds. When it finished and I opened my eyes, the lashes were heavy with tears at the sheer beauty of it and the music’s ability to take me to wild places my feet haven’t carried me yet. I have probably been guilty of mainly reporting on races, and the occasional fine day out. One of the main reasons I write this blog is to capture my memories so I can come back and relive them, it’s a bonus if other people like to read the blog and get something useful or entertaining from it. I really do want to come back and relive all my races, good or bad, and all the things I’ve learnt from them but not every goal I set myself this year has been about race (at least not in the short term). 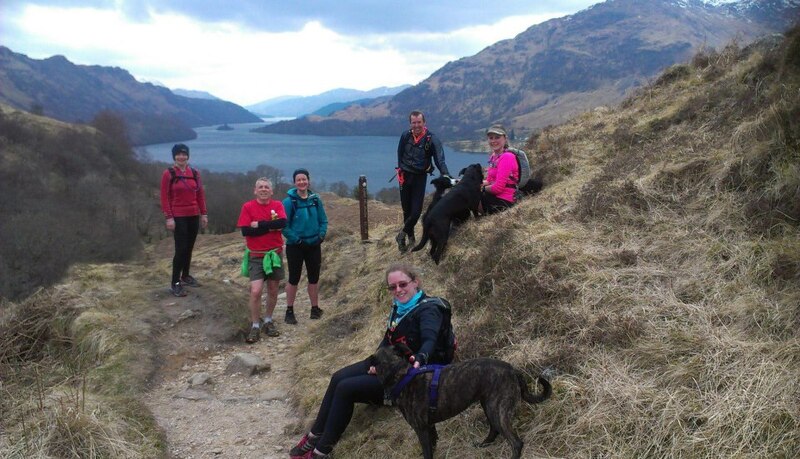 Last year I went for a fantastic social run during my marathon training, it was a wonderful day spent with lovely people and dogs. It cemented my desire to be part of the Scottish ultra running community and also began my love affair with running on the West Highland Way (not an uncommon affliction amongst ultrarunners in Scotland and beyond). My first run on WHW, taken at Mario’s post – also known as the Angels’ Playground. This year I got a relay team entry into the Highland Fling and the natural thing seemed to be to train with the relay team by running each section of the route, so that’s exactly what I did, sometimes more than once and occasionally in the opposite direction from the race route – might as well go over Conic Hill in both directions! The training was a huge part of the Fling experience, I thoroughly enjoyed it and came to love the WHW more with every run – even the bad ones. My biggest training run for Kintyre Way Ultra also took place on the WHW. It was the Easter weekend, hot and sunny, and I headed out with my good running buddy Katherine to run Bridge of Orchy to Kingshouse and back. 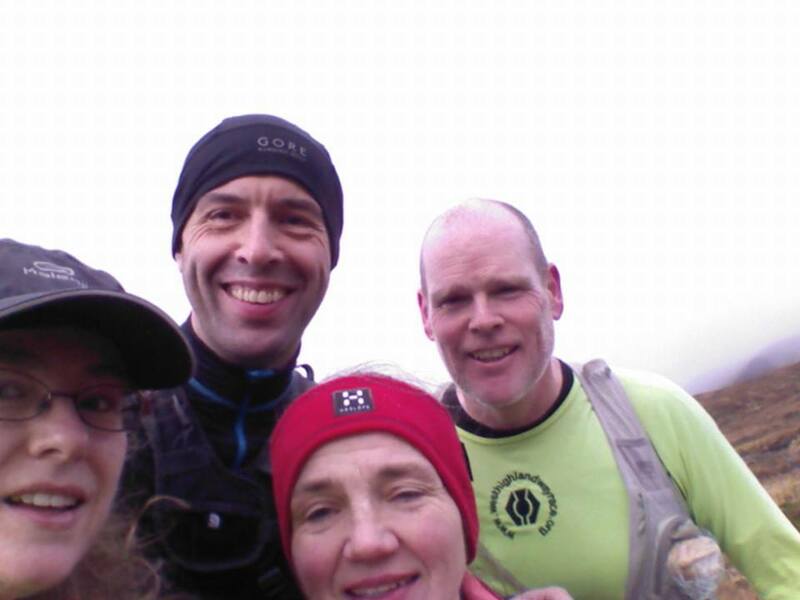 I have to say that was one of my favourite runs of the year – a great day out with the best of company. I think it was on this run chatting to Katherine that we worked out I now only had the short section from Tyndrum to Bridge of Orchy and the final, biggie from Kingshouse to Fort William to run and I’d have run all of the WHW. It was still early in the year and I thought that maybe I could do the whole of the Way before the end of the year – hey presto, a new personal goal and not a race (for that you need to do it in one go, max 35 hours). My Easter run with Katherine.Epic scenery, fab company. Thanks to K for the photo. Filling in the wee section between Tyndrum and Bridge of Orchy happened in the course of support running with Amanda at the West Highland Way. I travelled from Tyndrum to Bridge of Orchy with her that day and if you’ve read the post on that you’ll know it was a pretty emotional and inspiring experience. And yes, I do hope to do the whole race one day, which will be a whole other story no doubt. This left Kingshouse to the end in Fort William still to do. 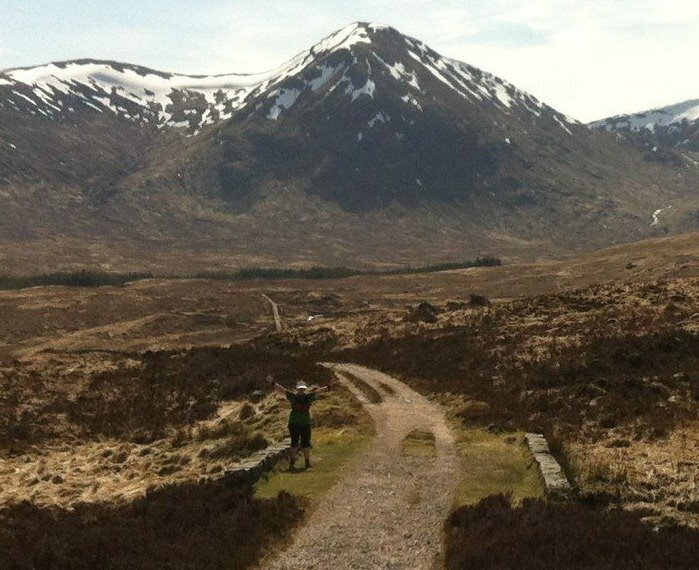 Something in the region of 24 miles and 4,000ish feet of climbing – up and over the Devil’s staircase and down into Kinglochleven which is near enough sea level before you have to climb right back out again before heading into the wilderness of Lairig Mor. I had a pretty busy year and quite frankly 52 weekends is just a bit measly; I began to wonder how I would fit this in. I ended up settling on a date of 29th November and keeping my fingers crossed that the snow gates would be open and the running conditions friendly. Once the date came around, only a handful of folk were going to be able to join me on the day but I’d have gone, weather permitting, on my own if I had to but I can say I was very happy to have the company of Ian, Mike and Brigit on the day. We’ve had an incredibly mild autumn which continued right to the end of November so we headed out about 8.30am and we got back before the rain really came on – couldn’t have asked for better to be honest! I can’t pretend it was easy, I hadn’t run more than half marathon distance since Glenmore and actually had been concentrating on doing some shorter speedwork – having done a fairly intensive hill rep session of the Wednesday was probably not one of my better ideas! I absolutely have my running companions to thank for completing this in just shy of six and a half hours, I’d have been a lot longer on my own. A selfie (welfie?) at the top of the Devil’s staircase. 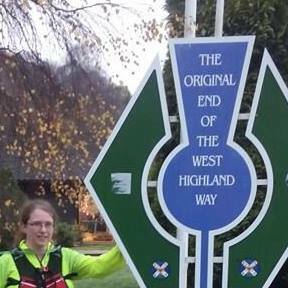 So, on 29th November 2014 about 3pm I ticked off another personal goal – I ran (OK, slightly subjective as there is always some walking) all of the West Highland Way this year. It’s a very varied route, miles of wilderness are interspersed with pockets of ‘civilisation’ and it’s truly tough going for mere mortals like me! I’m in awe of those people that have completed the race whether once or ten times, whether they were fast or slow. The thought of linking all those sections together is pretty darn daunting and probably the only way to do it (training aside) is to break it down into those sections and concentrate on the one you’re currently running. The WHW race is a huge undertaking for someone like me, but one I definitely want to conquer but for now I’m immensely happy with hitting my goal for this year.